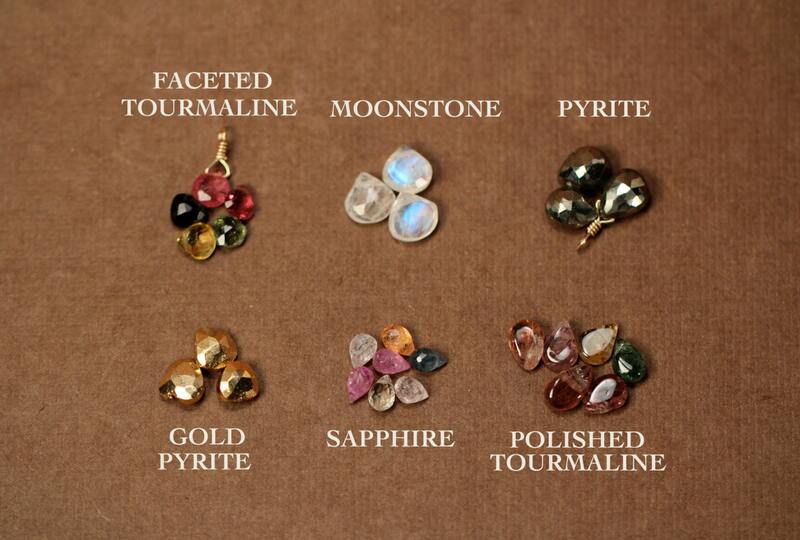 Choose a power boost - healer - gemstone to add to any necklace! If you would like a jump ring to attach these, please request, otherwise they are wrapped on an angle to slide on to an open ended chain with no loop. 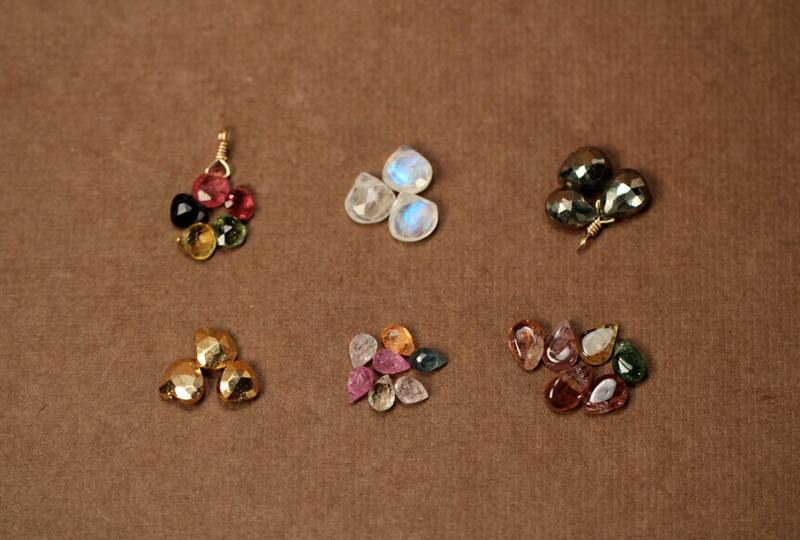 These gems are all one of a kind, when buying multiples, there will be a zero percent chance of them matching! These gems measure aprox 6mm-8mm. 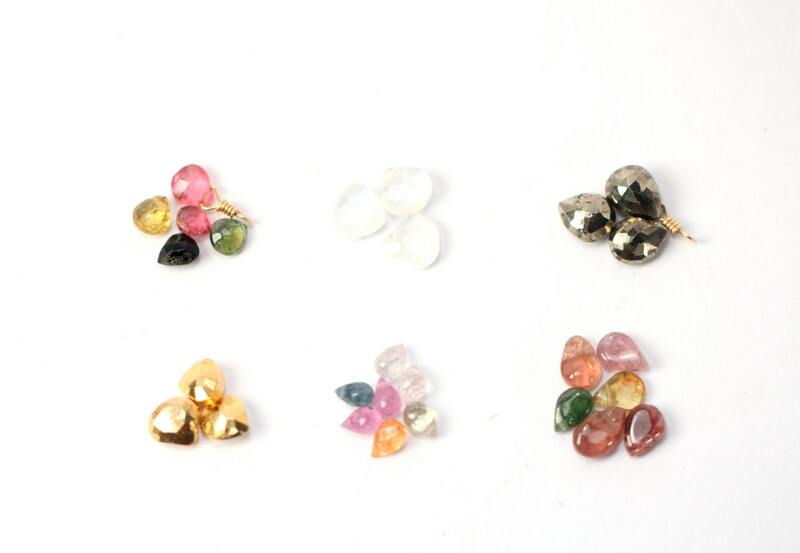 ♥ Tourmaline aids in understanding oneself and others. It promotes self-confidence and diminishes fear. Tourmaline attracts inspiration, compassion, tolerance and prosperity. It balances the right-left sides of the brain. Helps treat paranoia, overcomes dyslexia and improves hand-eye coordination. Tourmaline releases tension, making it helpful for spinal adjustments. It balances male-female energy within the body. Enhances energy and removes blockages. ♥ Moonstone is a stone for “new beginnings”, Moonstone is a stone of inner growth and strength. It soothes emotional instability and stress, and stabilises the emotions, providing calmness. Moonstone enhances intuition, promotes inspiration, success and good fortune in love and business matters. ♥ Pyrite is a powerful protection stone which shields and protects against all forms of negative vibrations and/or energy, working on the physical, etheric, and emotional levels. It stimulates the intellect and enhances memory, helping to recall relevant information when needed. Pyrite assists one in seeing behind facades, promoting an understanding of that which lies beneath words and actions. The ancient Incas used Pyrite for meditation and divination. ♥ Known as the "wisdom stone", each colour of Sapphire brings its own particular wisdom. It releases mental tension, depression, unwanted thoughts and spiritual confusion. Sapphire restores balance within the body, aligning the physical, mental and spiritual planes, bringing serenity and peace of mind. It stimulates concentration, brings lightness, joy and peace of mind. Sapphire is also known as a "stone of prosperity", attracting gifts of all kinds and fulfilling dreams and desires.